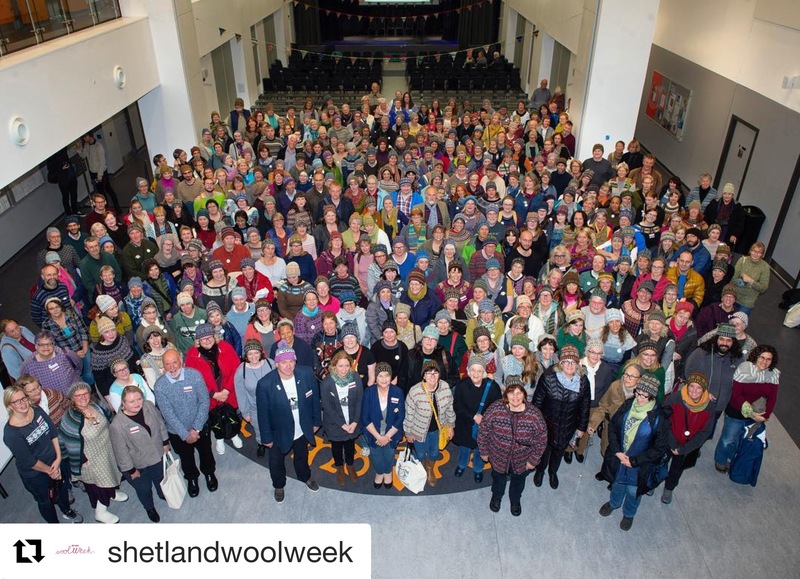 We’re beginning to get back to normal after Wool Week which was amazing as ever! However, there’s no slowing down in the shop as we’re beginning to pack up for going to The Knitting & Stitching Show (24-27 November). If you’ve read the earlier post I wrote then you’ll be familiar with the type of products we’re planning to have on the stand. Living and working in Shetland means travel and delivery of all the items we want to take to the show takes a bit of figuring out! Flights (two of these and pretty much a whole day to get us down to Harrogate) and accommodation for Sandra and myself were booked a couple of months ago so that leaves all the lovely Jamieson & Smith things for the stand. Our ‘Every Week is Wool Week’ printed canvas bag has been so popular over the past year that we’ve added a new design which we really love! 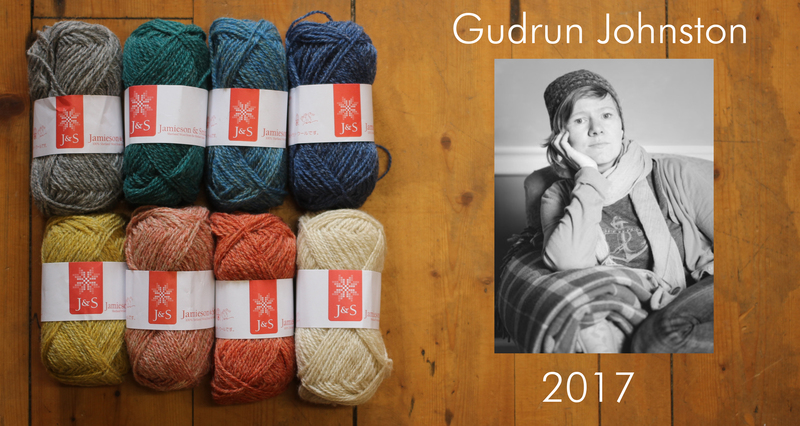 We’ll also have our two books – Knit Real Shetland which has patterns using a range of our yarns, and Gladys Amedro Vintage Lace Collection 1. For anyone who makes cushions or similar items then our Peerie Project Bags full of Shetland Wool stuffing are perfect! All of the above will be available to buy at the show but if there’s anything else you’d like then you can place an order with us. We will have examples of all our yarn types and colours, like a giant shade card! 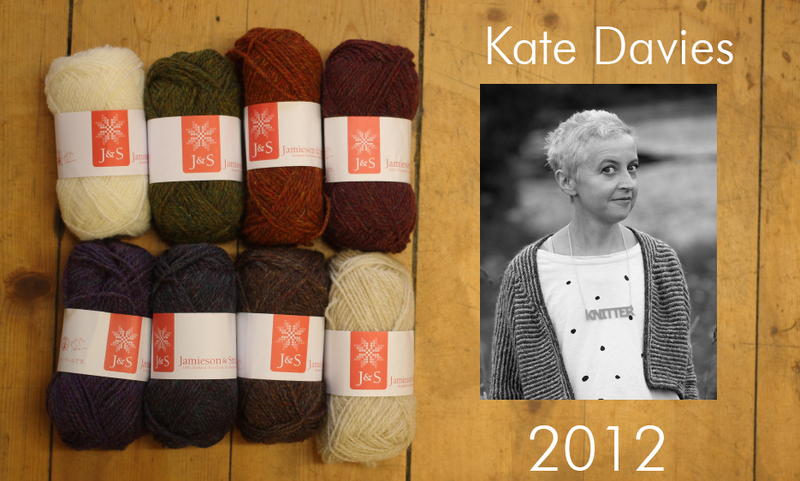 We think this is important so you can really get a feel of the different yarns and see the true colour. That’s about all for now, got to get back to packing up all those kits! You can find out more about our stand in the show Exhibitor List. I’ll be back again soon to let you know of offers and special products so watch this space! 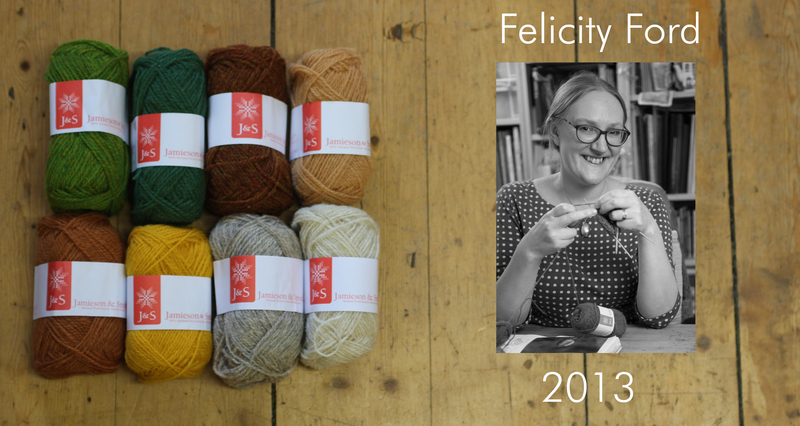 The wonderful Felicity Ford AKA Knitsonik has been busy working away on an idea just for you: Introducing the Knitsonik Mitts-a-Long for Shetland Wool Week! ‘Yay’ I hear you cry, well Yay indeed, read on for the details. 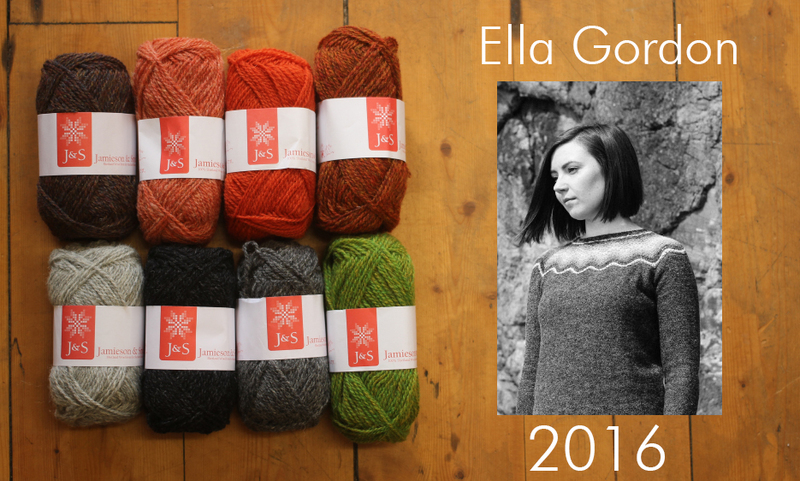 The idea is to design your own stranded colourwork using ‘Fingerless Mitts’ as the base for your explorations. 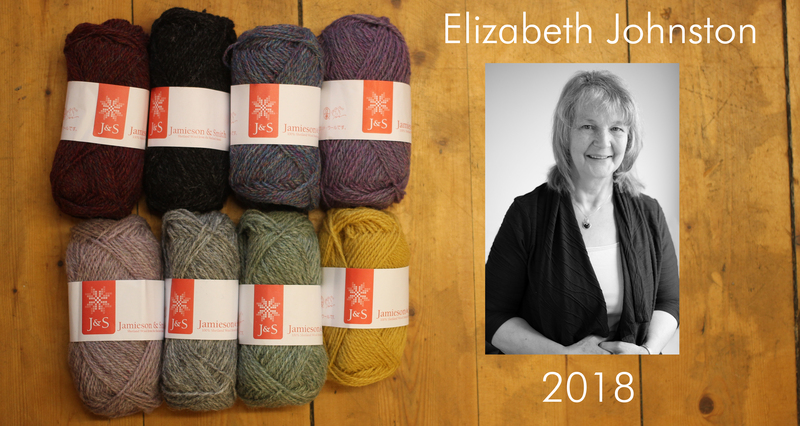 There are two kit options for you to choose from, each one has been carefully thought out by Felicity and includes the pattern along with the corresponding 8 balls of our lovely 2ply Jumper Weight (a 4ply weight yarn). The first theme is the Crofthouse Museum, situated in Dunrossness in the South Mainland of Shetland. 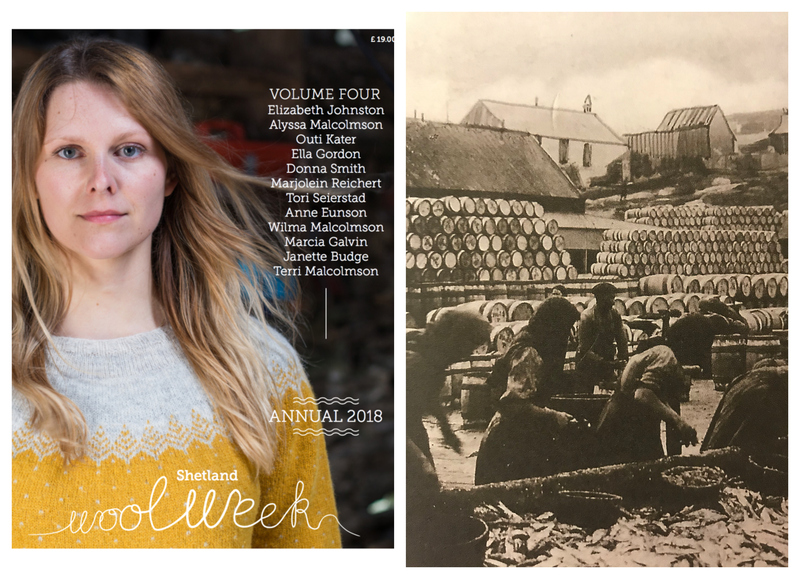 It is set up as it would have been in the 1870s so you can get a real feel of what it was like to live in a typical Shetland home at that time. The second theme is taken from knitting sheaths in the Shetland Museum & Archives. These were in use before knitting belts and were made with feathers to grip and hold a needle in place while working. 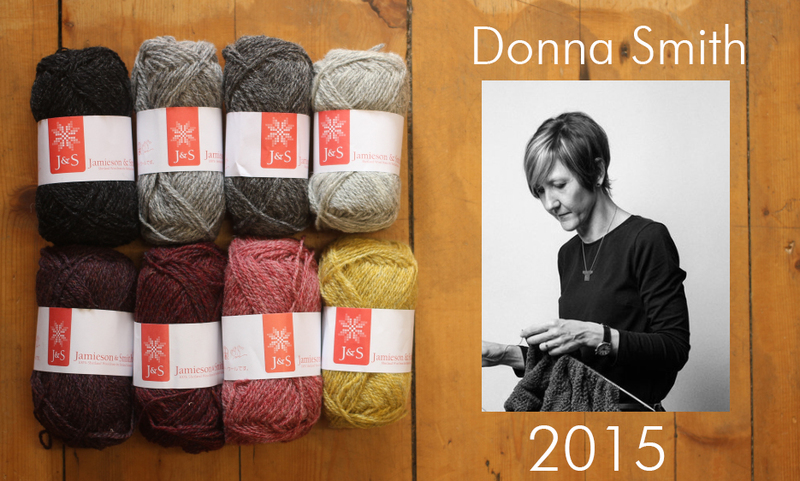 The Knitsonik Mitts-A-Long 2016 coincides with Shetland Wool Week 2016 starting on the 24th September. 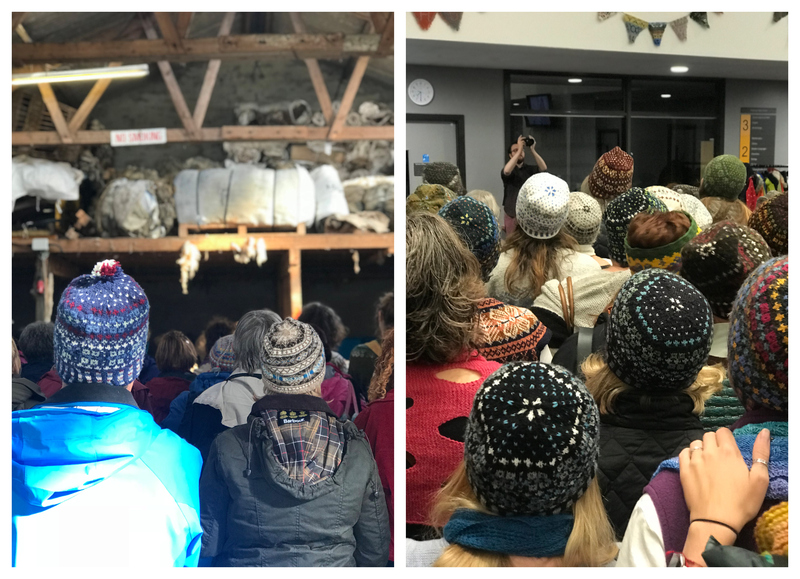 It will continue until the 24th October with lots of places to share and discuss your progress online – you can find other participants by following the hashtag #knitsonikmittsalong on Instagram and Twitter, and on the Knitsonik Ravelry forum. 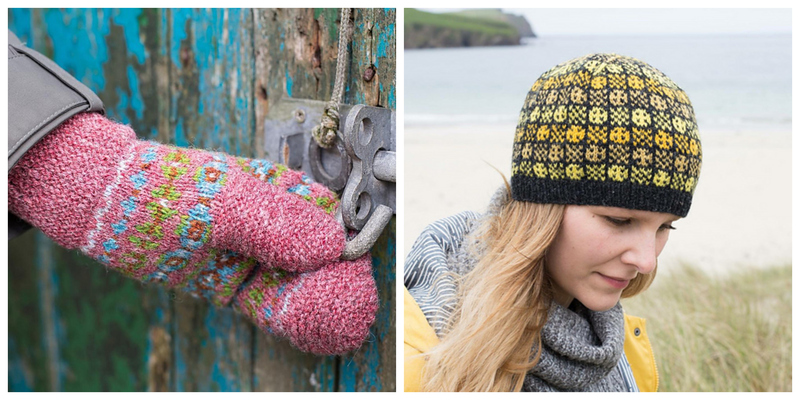 We have a limited amount of kits in stock so if you would like to knit your Shetland inspired mitts with wool all packed up by us in Shetland, this is your chance! 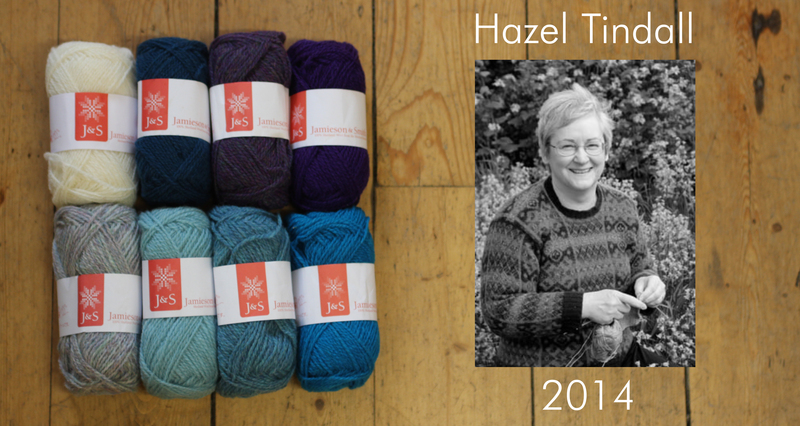 The 2015 Shetland Wool Week pattern is now available! 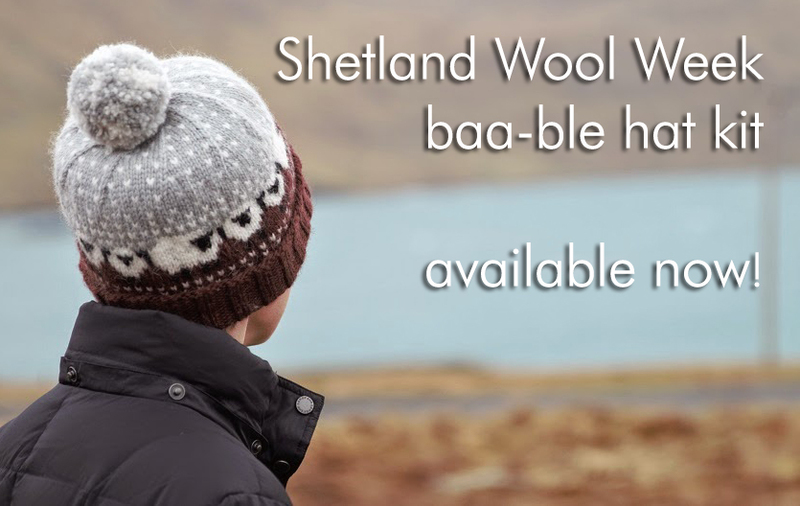 The Baa-ble Hat designed by this years patron Donna Smith features a wide brim, lovely sheep motifs and a snowy sky, very appropriate to Shetland and most of the UK this week, I thought it was spring?? 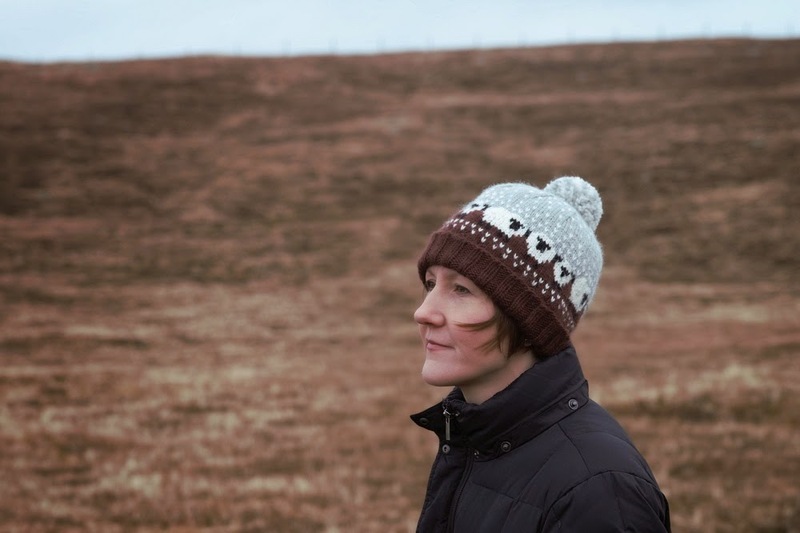 This hat is a great introduction to Fair Isle knitting and as its worked in Aran weight yarn it makes for a quick knit, great for keeping you warm in this chilly springtime! 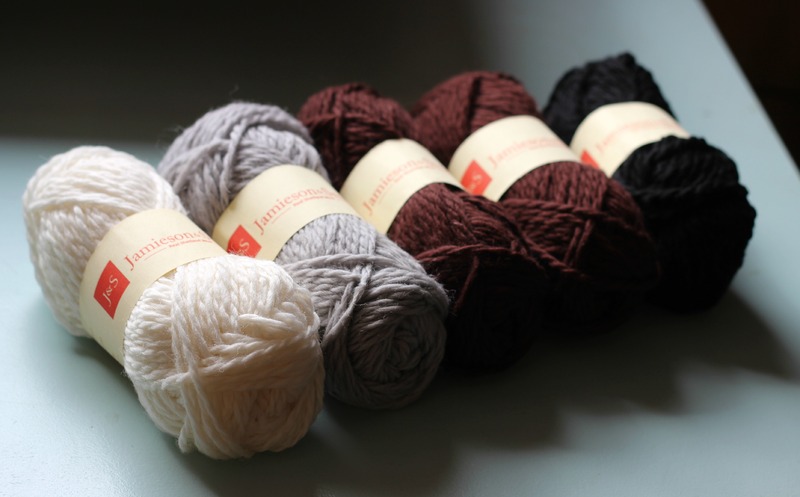 The Jamieson & Smith colourway uses our Shetland Worsted Aran in the shades Peat, Coll Black, Silver Grey and Snaa White, and you can now buy a kit via our online shop here. If you would like different shades for your baa-ble hat just order two of your main shade and one each of your contrast shades. You also use our now discontinued Shetland Aran which we still have a number of shades available. For that yarn you will only need one ball of the 4 shades. 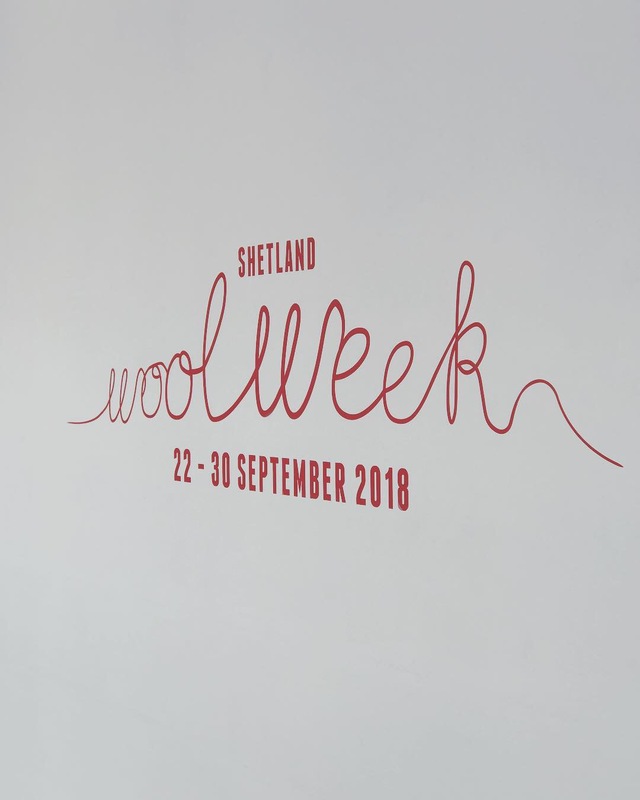 To get the pattern you will need to apply for it here on the Shetland Wool Week website and then you will be emailed a copy of the pattern. Ill be back later this week to carry on out yarn series, til then Happy Knitting!